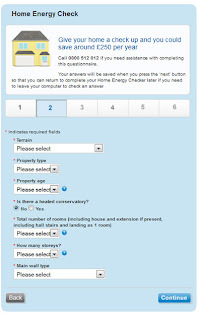 The Energy Savings Trust are currently offering a free online evaluation of your property to allow you to see just how much energy you can save by making some improvements to your home, and unlike many other similar reports, it doesnt just give you how much Carbon Dioxide emissions you could reduce, it also gives you it in quids, mulah, money and that really does hit home. 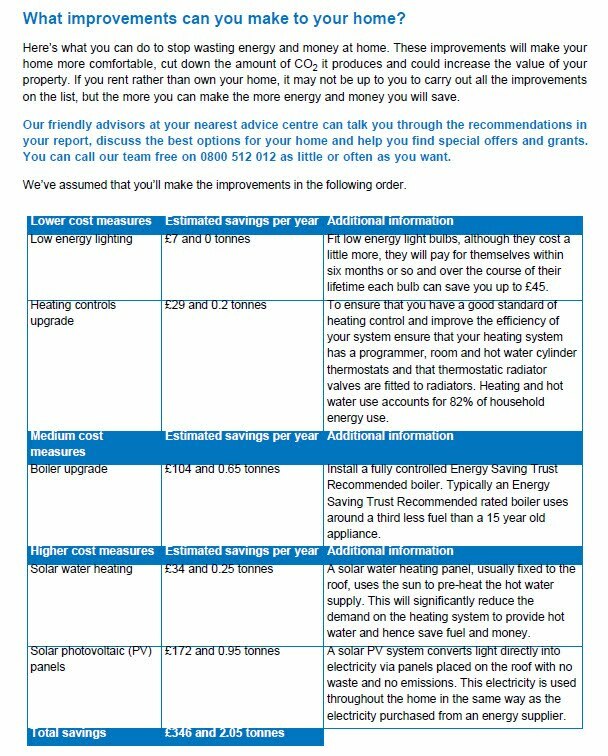 Especially with the rising British Gas prices that for dual fuel households already stands to add some £200 + to your annual heating bill. 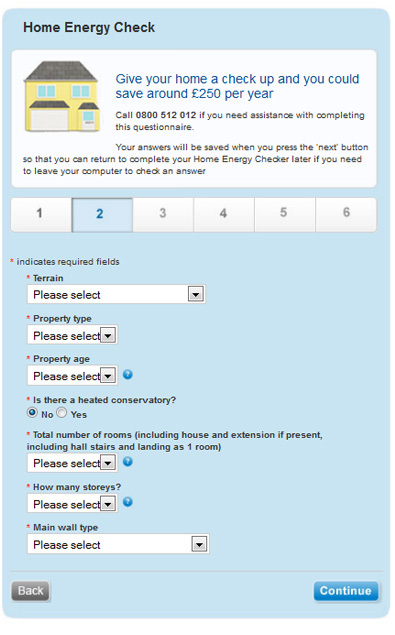 The check just requires a few details such as the terrain your house is situated in, how many rooms etc, but once this has been completed you can choose to either have the report emailed to you or posted out, below you will see part of the report I recieved: As you can see I could save up to £346 per year and reduce my carbon footprint by over 2 tonnes by doing simple things such as upgrading a boiler (something I'm saving up for) making sure my loft is insulated as well as suggesting slightly more expensive options such as solar water heating or Solar Photovoltaic panels on the roof heat heat my water or generate electricity. 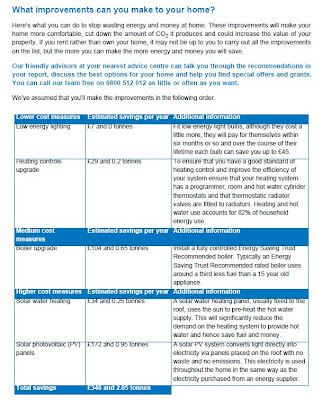 This report only takes ten minutes but the savings could be unfathomable and just think where you could spend that money you've saved.